NB All home fixtures in 2005-06 are expected to be at Moss Lane, unless otherwise stated. Alty Reserves' manager Neil Brown would like to thank everyone who has sent messages of support for his son, Ashley (right), who suffered a double fracture of the leg last night at Runcorn Town whilst playing for Altrincham Reserves. 18 year-old Ashley was to have an operation to pin the leg today but the specialist decided that as his leg bones were very strong, it would be better simply to plaster the leg. Ashley is now in a full-leg plaster cast which he will have to wear for three months. This site's Runcorn Town v Altrincham Reserves match report is here. The Runcorn Town site has a good report. The injury to Altrincham Reserves' Ashley Brown is, sadly, worse than feared. After being carried off (see below) in last night's friendly at Runcorn Town, Ashley was taken to hospital in Warrington. There, x-rays have revealed that he has broken both his tibia and fibula and he will have an operation on the fractures today, which may involve a plate or screws being inserted. All at Altrincham and Runcorn Town FCs wish him a full and speedy recovery from the injury. It was Ashley's 18th birthday last Saturday and he was looking forward to the new season, having established himself in the Altrincham Reserves as a left-sided defender/ wing-back last season. Despite his injury, Ashley is keen that all who saw the game don't forget the expert chest down and flick of the ball over an opponent which he executed before he got injured last night! Thanks are due to Alty physio Alan Ainsley and his Runcorn counterpart, Alan Charlesworth, as well as the ambulance crew, for their expert handling of the injury. Aaron Edwards (centre) and an opponent clash as Danny Heffernan (14) and John Maloney (8) look on. There is a double-header between the Reserves and Wythenshawe Town; both games at Wythenshawe Town FC next to Tesco at Baguley. The Lancashire League, in which Altrincham Reserves play, has ben restructured into two divisions, West and East. Altrincham have been out into the eastern section so six of their nine league opponents this season hail actually from Yorkshire (Goole Town, Wakefield, Ossett Albion, Ossett Town, Farsley Celtic and Guiseley), the other three being Woodley Sports, Rossendale United and Hyde United. The season starts on 19th August but the fixtures have yet to be drawn up. It is believed that there will be a cup competition as well. Altrincham Reserves, managed by Neil Brown (right), expect to play their home games either on Wednesday evenings or Saturday afternoons, at Moss Lane. 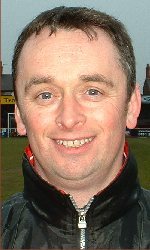 Altrincham FC Reserves' manager Neil Brown has the difficult task of remodelling his Reserves' squad for next season and this has inevitably led to the release of a number of players, whilst one or two others are unavailable in any case due to work or other commitments. Those who will not be playing for the Reserves at the start of next season include James Marsden, Paul Monaghan, Dave Roberts, Byron Jenkins and Mike Brown. 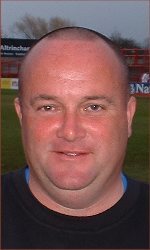 On behalf of Altrincham FC, Neil would like to express his sincere thanks to all of thes players for their dedication and hard work for the Reserves over the last season and, in several cases, two seasons. The website would also echo the club's best wishes to all concerned that they go on to enjoy a successful footballing career. 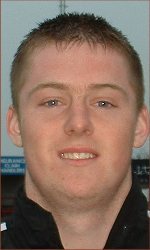 Those reserves from last season who will be staying with the Club include goalkeeper Craig Ellison, defender/midfielder Ashley Brown, midfielder/defender Danny Heffernan, left-back Keith Wedge and defender Colin McAllister. The Club is looking to bolster the link between the Youth team and the Reserves and it is expected that a substantial number of this season's youth team will graduate to the Reserves next season. In addition, trials will be held on 17 and 24 June at Mersey Bank to further bolster the squad. Neil Brown and Reserves' physio Alan Ainsley are also arranging a charity match involving Altrincham FC for the benefit of Manchester's Christie Hospital. This is likely to involve players from all levels of the club, including chairman Geoff Goodwin, and is likely to be played on the football pitch at East Levenshulme Cricket Club. More details of this will be posted here when confirmed. Morecambe have won the Lancashire League, in which Altrincham Reserves play, for the seventh successive season. A writer on the Morecambe FC forum explained: "With four games left and Accrington Stanley's James Robinson enforced resignation from the league we needed to win them all and overhaul a goal difference where we were 20 behind. We managed to win 7-1, 4-0, 11-2 and 6-0 (last night). We pipped Marine on goal difference by five in the end". Altrincham's final position is not yet clear as two fixtures were not completed - against Guiseley and Bradford PA.
ALTRINCHAM RESERVES pictured before today's game. Back: Carlos Marsden (coach), Neil Brown (manager), Mike Brown, Colin McAllister, Craig Ellison, Danny Heffernan, Laurence Ball, Byron Jenkins, Alan Ainsley (physio). Front: Pat McFadden, Keith Wedge, John Maloney, Ashley Brown, James Marsden (capt), Paul Monaghan, Dave Roberts. After a goalless first half Alty Reserves completed a successful season with a 5-0 win over Barrow Reserves this lunchtime. Pat McFadden netted four times, after Dave Roberts had opened the scoring. However the game was marred by an early injury to Danny Heffernan, who was taken to hospital with a suspected broken ankle. Alty still have fixtures against Guiseley and Bradford PA to play but these are not now being played as the Lancashire League seems to be heading towards a chaotic finish. The Lancashire League, in which Altrincham Reserves play, has updated its League table. The Reserves are at Moss Lane this Saturday (6th) at 1pm against Barrow Res. Please come along and support them! Alty Reserves lost 4-1 at Fleetwood Town on Friday, a result which severely dents their title hopes. Lee Hendley fired Alty ahead after 10 minutes, but an impressively hard working Fleetwood responded with two goals in each half. Report here..
Saturday 6 May, at Moss Lane at 1pm, Altrincham Res. v Barrow Res. Marine Reserves will set the championship target tomorrow when they complete their Lancit Haulage Lancashire League fixtures against Guiseley. The top of the league is in some confusion following the expulsion of Accrington Stanley but, hopefully, a definitive, revised league table will be issued shortly. The currrent position of Bradford PA is also unclear. Marine confirm rumours circulating last week that "Throughout this season Accrington Stanley Reserves have been struggling to fulfill their fixtures and with some 11 games left to be played in almost as many days they have been forced to acknowledge the fact that they cannot complete the season. As a result Accrington Stanley are to be expelled from the league for this season and their results will be expunged... A quick calculation suggests that this leaves the top five as follows: Marine Reserves: pld 29, pts 61; Altrincham Reserves: pld 26, pts 54; Fleetwood Town Reserves: pld 24, pts 48; Bradford PA Reserves: pld 23; pts 43; Morecambe Reserves: pld 22, pts 42.". Altrincham lost the three points from their win over Accrington earlier this season, whilst Marine did not so now the side from Sefton must be the favourites for the Lancashire League title. Altrincham Reserves went down 3-2 on Wednesday night to Southport. Alty's goals came from McAllister and Heffernan. Report to follow. Below are pictures of the staff and players involved last night for the Altrincham Reserves. The latest Lancashire League table is on the league website. Although one of Alty's Lancashire League title rivals, Marine, won 5-0 at Bradford this week, their website says that "Marine's Reserve side and youth teams are faced with considerable uncertainty at present as they contemplate what might be happening next season". On the club's forum, the Marine webmaster writes, "It seems at present that the club is determined to withdraw from the Lancashire League... I believe the original intention was to try and go into the Liverpool Combination Premier League... it was then suggested that we perhaps opt for the West Cheshire League... [But] my own understanding, after speaking to people involved with the Lancashire League, is that this simply won't be possible. Changes are being made originating from the FA which will mean that clubs' reserves sides will not be allowed into leagues which are effectively feeder leagues into the lower levels of the pyramid. This means that teams such as Vauxhall Motors Reserves who currently play in the first division of the West Cheshire League will have to opt for a different league. Marine Reserves are in the [Lancashire] league, which many clubs are again going to have to consider joining with regard to their Reserve sides. We seem to be considering pulling out of this without having clearly thought through where we might end up... It would seem to me to be a huge retrograde step for the club to now put its Reserve side into the Liverpool Combination Premier league". Richard Norris (15) and Pat McFadden (14) join the game as Kieran Lugsden comes off, after his hat-trick. Towards the left of the picture, Eddie Hussin shakes hands with a team mate as he, too, is substituted. Kieran Lugsden hit a well-taken hat-trick but Altrincham Reserves disappointingly let a 3-1 lead slip against Fleetwood Town at Moss Lane last night. Defenders Ashley Brown and Laurence Ball were the only regulars from the Reserves in the starting line-up. Otherwise, Alty included seven players who hold first-team squad numbers in their starting eleven. These included Eddie Hussin, starting his first game since last season, having had half an hour as a used sub last Saturday, along with Richard Acton, Stephen Rose, Rod Thornley, Lewis Chalmers, Kieran Lugsden and Blake Norton. The other two starters were trialists Keith Wedge (ex-Bury), who looked useful at right-back, and Mark Smyth (ex-Liverpool and Vauxhall Motors), up front. The used subs were Lee Hendley, Pat McFadden and Richard Norris, making his first appearance of the season after injury. Fleetwood's equaliser was a 60-yarder by Mark Davis, who fired a kicked clearance by Richard Acton straight back past the keeper who could not get back to his line in time to stop the ball. Had they won, Alty would have gone top of the Lancashire League but they remain well placed with three games in hand on Marine, who are a point ahead. Report to follow. The Reserves are at home (Moss Lane) to Fleetwood on Wednesday 5th April at 7.45pm. The game against Guiseley set for May 3rd has been moved to Saturday 29th April (3pm to be confirmed) at Wythenshawe Town. Altrincham Reserves won 5-0 today at home (at Wythenshawe Town) to Bamber Bridge. Kieran Lugsden hit a hat-trick, whilst Lee Hendley and John Maloney also netted. Eddie Hussin played his first 30 minutes of the season as a second half substitute. 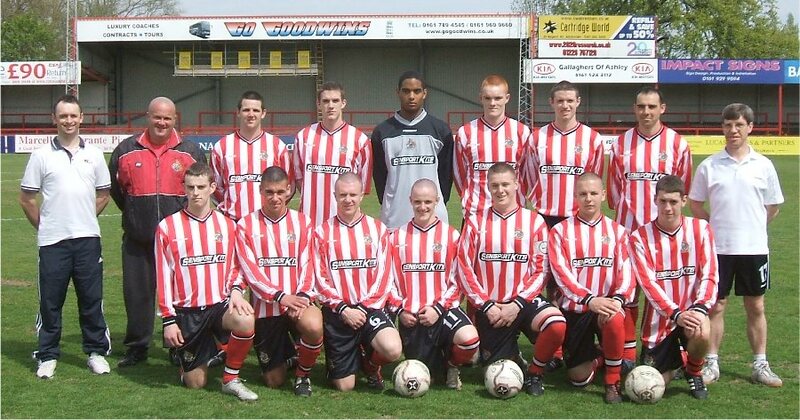 The Alty team was: 1. Richard ACTON, 2. James MARSDEN, 3. Ashley BROWN, 4. Laurence BALL, 5. Stephen ROSE, 6. Colin McALLISTER, 7. Mike BROWN, 8. Danny HEFFERNAN, 9. Kieran LUGSDEN, 10. Mark SMYTH, 11. Lee HENDLEY. Subs: Eddie HUSSIN, Keith WEDGE, John MALONEY. "The Marine Reserve side enjoyed a 9 - 0 triumph against Clitheroe Reserves on Friday night to stay top of the Lancashire League. It was a win that sees the Marine team move five points clear at the top of the Lancashire League table, though Altrincham Reserves now have five games in hand over the Mariners" reported their excellent website, before Alty won on Saturday to cut the lead to two points with four games in hand. Alty Reserves' next game is this Saturday (1st, 3pm) at Wythenshawe Town FC, when Bamber Bridge will be the visitors. So, if you cannot get to Exeter with the first team, come along and watch the Reserves, who may include some first-team squad members in their ranks. Marine report that "Marine Reserves entertain Clitheroe Reserves tomorrow evening (Friday) at Rossett Park. Our Reserve side are still top of the Lancashire League table thanks in large part to the fact that Altrincham Reserves haven't been able to play a game since 15 February... The Marine Reserve side will be hoping to return to winning ways having lost their last two matches - both of which were, technically at least, away from home although one of them was at Rossett Park". Tonight's Reserves' game between Altrincham and Barrow at Moss Lane has been postponed because of a wet pitch and the forecast of further rain this afternoon and evening. Amongst those who would have played tonight for the Reserves were Gary Scott, Karl Munroe, Mark Maddox, Stephen Rose and Colin Potts as well as trialist Mark Smyth from Vauxhall Motors, whilst on the bench would have been Eddie Hussin and Richard Norris. If Saturday's game is played, that will be Alty Reserves' first game since 15 February, six weeks ago. Wythenshawe's Town ground is on Timpson Road, which runs behind Tesco's Baguley store. The Reserves' fixture list, only issued recently, has already been changed. The May Bank Holiday clash between Altrincham and Bamber Bridge has now been brought forward to this Saturday (April 1st) at 3pm at Wythenshawe Town FC, Timpson Road, Baguley, next to Tesco. Alty Reserves' striker Kwame Barnett has now joined two former team-mates, Kieran Kilackey and Adam Docker at Bangor City. It is hoped that Bangor City will host a pre-season game against Altrincham Reserves this summer. The Lancashire League has reissued the fixtures from now till the end of the season; Alty's games are listed here. Alty's next match is this Wednesday at Moss Lane (7.45pm) versus Barrow. Workington Res 7 Bradford PA Res 0 (though BPA's own site says it was 6-0). 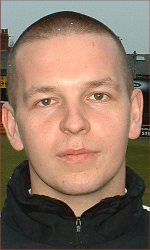 But BPA did hit six of their own against Clitheroe with ex-Alty man Lutel James scoring twice. Marine report that "Such are the peculiarities of Reserve matches that all was not as it appeared when Marine Reserves met Accrington Stanley Reserves [this week]. The difficulties Accrington Stanley have had in staging matches this season for their Reserve side meant that although this was played at Rossett Park it was in fact Accrington Stanley's home game. The Lancashire club met the expenses incurred for the evening which means they are still left to play Marine at Rossett Park later in the season. This was not where the complexities ended. Although Accrington Stanley Reserves currently lie in the bottom half of the Lancashire League table Marine found themselves up against a team featuring no fewer than five first team players. With their first team having no midweek match this was seen as an opportunity to give some of them a game and bear in mind that this is a side that seem destined to be a League club next season. The resultant scoreline of a 3 - 1 win for the home side, for those struggling to follow this translates as a 3 - 1 win for Accrington Stanley, was perhaps not too surprising in the circumstances". One of Stanley's used subs was former league player Paul Cook (37)... The end result leaves Marine at the top of the Lancashire League table but with Altrincham now having three games in hand the Mariners' reign at the top may be short-lived". Tonight's Alty Reserves v Bamber Bridge game has been postponed due to the incessant rain. One of the rivals to Altrincham Reserves for the Lancashire League title, Morecambe Reserves, have had three points deducted "for regulation irregularities", so only Fleetwood Town and Bradford PA can catch Alty, if we were to win all our games to be played. The latest league table is here. Alty Reserves' next game is on Wednesday 8th at Moss Lane against Bamber Bridge Reserves (7.45pm). It isn't just Alty reserves who are suffering postponements. Morecambe rpeort that "Due to the Arctic weather conditions currently prevailing in this area of the country, the game scheduled for tonight at Clitheroe has been postponed. Also, because of Lancaster reaching the final of the County Cup, the Reserves' game scheduled for that night away at Giant Axe (Tues.28 March) has been brought forward to Sat.25 March". Also Fleetwood Town's "reserve team game at Workington has been postponed due to snow and frost". Tonight's Alty Reserves home game against Guiseley was called off shortly before kick-off as the referee deemed the pitch unfit after last night's frost and the rain earlier in the week. The Yorkshire side were already at Moss Lane when the decision was made. The Marine site has a report on their Reserves' 6-0 win against Barrow yesterday, which took them above Altrincham to the top of the Lancashire League; Marine are two points clear but have played two more games than Altrincham. Alty are at home to Guiseley this Wednesday (March 1st, 7.45pm at Moss Lane). Tonight's clash between title challengers Bradford PA and Fleetwood Town was postponed as BPA could not raise a side for the trip. Meanwhile the Morecambe site has a report on their defeat this week by Marine. League leaders Altrincham Reserves will keep half an eye on the contenders for the Lancashire League title this week, as several of them play each other. If Marine win both games they will go top but Alty would have 2 games in hand on them. Tuesday: Morecambe Res v Marine Res. Friday: Marine Res. v Barrow Res. and Fleetwood T. Res v Bradford PA Res. Marine report that "The problems faced by different clubs' Reserve sides were evident again last week with only 2 of nine scheduled matches in the league being able to go ahead. These saw the two top teams gain wins, Altrincham beating Burscough 4 - 1 and Marine winning 3 - 2 at Barrow. So, Marine remain in second place in the league but face a daunting trip to Morecambe on Tuesday night. Morecambe have three games in hand over the Mariners and are only a point behind. Of 12 games Morecambe have played at home in the league they have won 9 and drawn 2, with their only loss being a 3 - 2 defeat by Southport Reserves back in September. Nevertheless, Marine have now won 5 consecutive league games so will not be lacking in confidence as they make the journey to Christie Park". Above: Lee Hendley's back: the young striker hit two goals for the Reserves as he continues his comeback after injury. 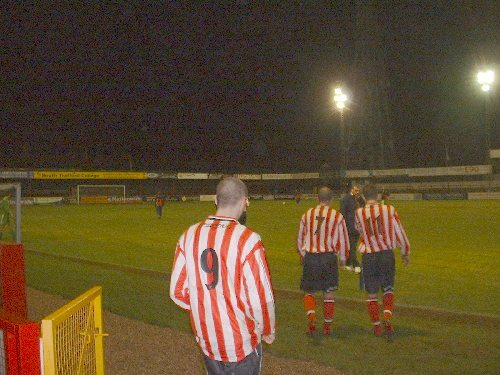 Here he is seen (no.9) entering the pitch with Colin Potts (7) and Pat McFadden (11) for the second half against Burscough. Burscough's website says that "Burscough Reserves put on a decent display despite the 4-1 defeat at Lancit Haulage Lancashire League leaders, Altrincham Reserves. The Moss Lane side lead 3-1 at the interval, Burscough`s scorer was Ian Johnson who is on his come back trail after a very lenghthy injury lay off". Paul Warhurst, the former Premiership player, who was scheduled to play for Altrincham Reserves tonight, has decided not to do so. Instead he will be seeking to continue his career within the Football League. Altrincham FC understands his position and wishes him well for the future. Tonight's Altrincham Reserves' match against Burscough Reserves is currently expected to go ahead at Moss Lane at 7.45pm. Despite the heavy overnight rain, the pitch is playable though there is always the proviso that more torrential rain during the day could change that. If there is any further news, about this, it will be posted here. The final league fixtures for this season for Altrincham Reserves have now been released and are here, courtesy of Neil Brown. Reserves' boss Neil Brown's plans for Wednesday's game against Burscough at Moss Lane (7.45pm) had to be radically changed following the postponement of Tuesday's first-team friendly against Trafford. A number of the players set to appear in that match will now play in the Reserves' game instead. The squad for the game against Burscough includes seven players from the first-team squad, plus two trialists and five Reserves' regulars. The players are: Craig Ellison (gk), Ashley Brown, Gary Talbot, Stephen Rose, Lewis Chalmers, Colin Potts, Pat McFadden, Lee Hendley, Kieran Lugsden, Laurence Ball, John Maloney, Danny Heffernan and trialists Mark Boyd and Paul Warhurst (who has since withdrawn). 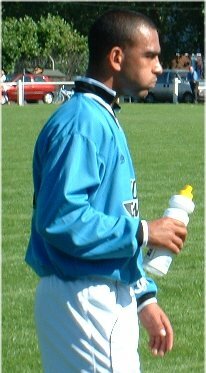 Defender Paul Warhurst (d.o.b 26 September 1969, Stockport) was recently released by Wrexham. He started out with Manchester City in 1988, before joining Oldham and then Sheffield Wednesday (1991) who paid £750,000 for him. In 1993 he joined Blackburn for £2.7 million, where he won a Premier League winner's medal in 1995. In summer 1997 he signed for Crystal Palace and was then loaned to Bolton Wanderers, late in 1998. The Trotters signed him for £800,000 in January 1999 but he left Bolton in summer 2003 and has had a number of clubs since then including Chesterfield, Barnsley, Carlisle, Grimsby, Blackpool, Stoke and Forest Green Rovers. 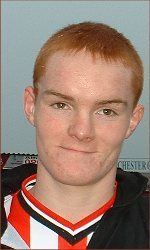 In August 2005, he signed for Wrexham. Part of Paul's career was spent as a striker. 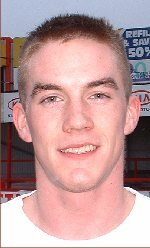 Mark Boyd (25) is a former Newcastle United trainee who moved to Port Vale as a midfielder in 2002, where he made 50 appearances. He was released to Carlisle United (his home club) before moving on to Gretna. 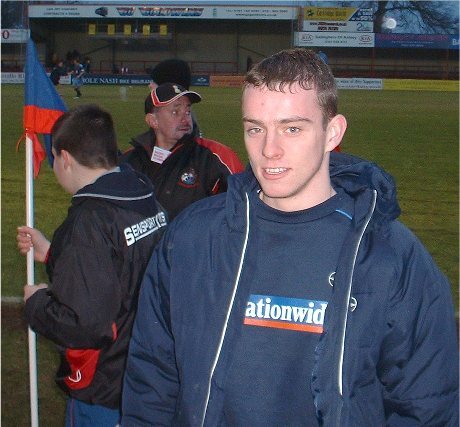 In February 2005, he signed on loan at Macclesfield Town. The Lancit Lancashire League has the latest table showing Alty Reserves' position. However, it contains several errors so cannot be relied on totally. Altrincham Reserves are at home to Burscough on Wednesday (15th) at Moss Lane (7.45pm). Leading scorer for the Reserves this season is Pat McFadden, who has also played for the first team this season. Pat is seen right, after Saturday's Conference win over Cambrdige United. One of Alty Reserves' title rivals in the Lancashire League, Bradford PA, kept up the pressure by beating Burscough in midweek. 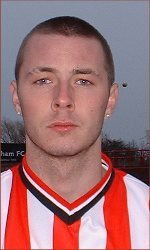 Altrincham striker and no.28, Pat McFadden, has now hit 27 goals for Alty Reserves (not 25 as previously stated) - which coincidentally is exactly the same number of goals as the entire Altrincham first team has scored all season in the Conference! One of Alty's title rivals, Morecambe won tonight. The Southport site reports that "A strong Southport Reserve team that included 9 of Southport's first team squad took on five times consecutive Champions, Morecambe, in the Lancit Haulage Lancashire Football League at Haig Avenue. Southport went down to a 76th minute goal, with Steve Daly's penalty well saved by the England semi-pro keeper Robinson in the 90th minute". In Wednesday's Lancashire League match, leaders Altrincham gained a 1-0 win over a Leigh RMI side which was packed with former Alty Youth players. Pat McFadden got the winner soon after the interval but Alty's defence held firm under a lot of Leigh pressure in the second half and even survived a final ten minutes with ten men after Danny Heffernan had to limp off injured. As well as McFadden who netted his 25th goal of the season, two other first teamers, Colin Potts and Lewis Chalmers also played. Reporthere. Former Alty goalkeeper, Ian Senior, whose company Sensports supplies kit to Altrincham FC, has generously donated a new set of kit to Altrincham Reserves. The team wore the kit for the first team against Leigh RMI. Reserves' manager Neil Brown and the Football Club as a whole would like to thank Sensports for their generosity. A brief summary of the 5-4 defeat at Morecambe is here. The Reserves are at home at Moss Lane this Wednesday (7.45pm) against Leigh RMI. Alty Reserves now lead the Lancashire League by a single point from Marine, who have played one more game. But Alty have eight of their last ten fixtures at home so probably still have the outcome of the title race in their own hands. Marine report that their Reserves beat Bradford PA Res. 2-0 this week - "The visitors had been unbeaten away from home in the league this season... [Marine] are now just four points behind the leaders Altrincham Reserves although they have played a game more". It is tight at the top of the Lancit Haulage Lancashire League if games in hand are taken into account. Fleetwood, Morecambe and Bradford PA can, in theory, all catch Alty if they win their spare games. But Morecambe slipped up on Saturday drawing 1-1 at Chorley. The Morecambe website says that "Fielding a team with no players with any first team experience, an extremely youthful Reserves outfit came away from Chorley with a creditable point. An early goal from Alex Randell giving him 7 goals in 13 games was cancelled out by an equaliser before half time". Morecambe entertain Alty this Friday. Alty are top of the table; they lead Fleetwood by 4 points with the Lancashire side having 3 games in hand; but they have yet to meet Altrincham home or away. Morecambe are 5 points behind Alty with 2 games in hand. Eight of Alty's remaining 11 games are at home. Alty Reserves' midfielder Kieran Killackey made his debut for Bangor City at the weekend and played the full 90 minutes. The 20-year-old came to Alty last season after a spell with Accrington Stanley but was injured on his Alty Reserves' debut and had only recently established himself in the Alty Reserves' side. The Lancashire League has updated its leaguetable but there are errors in it; six more victories have been recorded than defeats which cannot be right! Also some clubs are shown as having played fewer games than in the previously issued table. However, Alty do remain top of the league. The February fixtures have also been issued and are listed here. The games shown for March and April are provisional dates only. Eight of Alty's ten remaining fixtures are at home. The match between Altrincham Reserves and Bamber Bridge Res. tonight at Moss Lane has been postponed due to the bad weather. Morecambe "Barrow broke Morecambe`s six match winning run with a hard fought draw at Christie Park.Alex Randell`s strike on the stroke of half-time was scant reward for a youthful Morecambe side who created chance after chance but were unable to break down a resolute Cumbrian defence.Indeed, Ryan Robinson,on his return from injury,could not have had an easier comeback! This result leaves us in 2nd place six points behind leaders Altrincham with 3 games in hand". Above: Alty's Kwame Barnett comes on as a sub for Kieran Killacky against Marine. A match report on the Reserves' impressive 4-0 win over Marine on Wednesday night is now here. Morecambe Reserves remained on Alty Reserves' heels in "second place in the Lancit Haulage Lancashire League with an emphatic win against third place Fleetwood Town Reserves. A hat-trick from Reserves leading scorer Paul Lloyd and a goal from ever-present Shaun Gray sealed an impressive victory. team: S.Davies,Walmsley,Wisdom (Leigh76), Gray, Meeks, Helliwell, Dodgson, Smith, Lloyd, Randell(Wilkes76), Makin(Helm61)". Morecambe are in action again today at home to Barrow. Alty Reserves host Marine Reserves tonight (Wednesday) at Moss Lane (7.45pm). Entry is free to season ticket holders and just £2 to others. Marine have a preview of Wednesday's match at Moss Lane against Altrincham Reserves. It says that "Alty's Reserve side have hit the top of the table with some style, scoring freely in most of their matches with 75 goals scored from the 20 league games they have played so far this season... Alty's reign at the top of the Lancashire League may well be short lived. In their last league game they were beaten 2-1 at home by Morecambe Reserves and Morecambe - champions for the past five seasons - are hovering ominously in second place with three games in hand and only four points in arrears". Meanwhile Marine Reserves beat "Southport Reserves 5-0 at home in their last game. Their last three league games have seen them score 12 and concede 1". As usual entry is free to season ticket holders and just £2 to others. As much support as possible would be very welcome. The Morecambe site reports on Alty Reserves' loss to the Shrimps last week. "Kieran Walmsley scoring his first goal for the Reserves this season and a Paul Lloyd strike making him the Reserves' leading goalscorer with seven goals, put the Reserves into a healthy second place in the Lancit Haulage Lancashire League table". The Lancashire League table is here. It includes the Alty v Morecambe result but not any other results this week. Alty's January 2006 fixtures have been amended and are listedhere. The game on 28 December v Fleetwood has been postponed. the next match is at home to Marine on 11 January at Moss Lane. In a game of two halves Altrincham Reserves were unable to recover from a two-goal first-half deficit despite a strong second half performance on a misty Wednesday night at Moss Lane. The visitors went 2-0 up after only 17 minutes. But the second half was a different story, with Pat McFadden impressive and a promising performance from substitute Alex Tiesse, (ex-Millwall youth and Woking). Mike Brown drove home a free kick from the left to make it 2-1 with just 12 minutes left but Alty could not find the equaliser. Alty Reserves' overcame impressively the previously unbeaten Bradford PA tonight at the Horsfall Stadium, Rod Thornley, Steve Aspinall, Pat McFadden, Stephen Rose and Richard Acton (right) were the first teamers in the Alty squad but trialist Michael Rankine and newcomer Byron Jenkins also impressed. Rankine, a young striker recently at Scunthorpe but before then with Barrow, was delayed in traffic so could only be used as a sub. 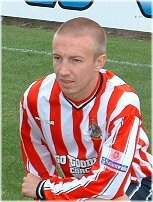 Jenkins counts Crewe, Southport and Accrington amongst his former clubs. Alty's goals came from an own goal prompted by good work from Jenkins plus efforts from McFadden, Thornley (2 goals - 1 a 40-yarder!) and Rankine. Report here.. The recent break caused by bad weather did Altrincham Reserves no favours as they struggled on Friday night at Marine to regain the free-scoring form which had taken them to the top of the Lancit Haulage Lancashire League. Alty team: 1. Craig ELLISON, 2. James MARSDEN (capt), 3. Ashley BROWN, 4. Colin McALLISTER, 5. Laurence BALL, 6. Steve ASPINALL, 7. Mike BROWN, 8. John MALONEY, 9. Pat McFADDEN, 10. Ben DEEGAN, 11. Kieran KILACHY. Used subs: Kwame BARNETT, Byron JENKINS, Adam DOCKER. Report here. Alty Reserves' game against Burscough at Moss Lane tonight has been postponed due to a frosty pitch. Today's Lancashire League match away to Accrington Stanley has been postponed due to the poor state of the pitch. Revised Lancashire League fixtures for December are here. Alty Reserves' next game is this Saturday away to Accrington Stanley. A late goal by Pat McFadden gave Altrincham Reserves a draw at Ossett today. Tonight's Reserves' game at Marine has been postponed because of the heavy rain today. 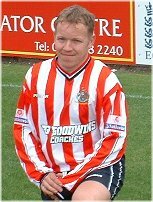 Alty Reserves won 4-1 away at Clitheroe last night with striker Pat McFadden hitting his third hat-trick of the season. Pat has now scored in the last nine games and has a total of twenty for the season. Dwaine Lindsay scored Alty's other goal at Clitheroe. Report to follow. The Altrincham Reserves v Leigh RMI Res. game scheduled for Moss Lane on Wednesday (26th) has been postponed due to the torrential rain over the last few days. Currently unable to use their Gt Harwood base after a fire at the ground, Accrington played their latest reserves' game at the Wigan Soccer Dome. 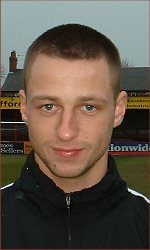 Haiving forgotten his own boots, Mark Maddox borrowed a pair that had formerly been ex-Everton star Tomasz Radsinksi's, and proceeded to score at Chorley. But Maddox also had a penalty saved and skied the rebound over the bar! Pat McFadden scored two and Lee Hendley, John Maloney and youth team captain Ben Deegan netted the others. Report to follow. November's fixtures have been amended by the League; they are listed here. The game shown in the list against Accrington is a provisional date only. Portchat has a report on Alty Reserves' 5-1 win at Southport last Friday. "A very poor performance from Southport's youngsters saw them trounced by league leaders Altrincham this evening, the visitors demonstrating just why they sit on top of the table having scored an amazing 58 goals already this season". The Southport official website also has a report on the game. Match report courtesy of Neil Brown.. Right: Steve Aspinall, who captained the Reserves and scored from the spot at Southport on Friday night. In the Lancashire League table, Alty are four points clear but can be caught by Fleetwood, Bradford PA and Morecambe. 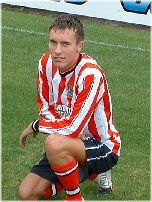 75 goals have been scored in Alty's 13 league matches to date, 53 of them from Alty themselves. Pat McFadden, who has scored 13 goals in the last 6 Reserves' games, is training with the first team this week. Graham Heathcote has invited a number of reserves to training over the season so far so that he and Dalton Steele can take a closer look at them. A last minute goal by Colin McAllister clinched this win after Alty had twice trailed. Alty's other goals came from Lutel James and Pat McFadden. Report here. 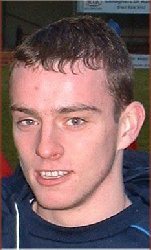 A well-taken injury time goal by Pat McFadden rescued Alty against Workington Reserves tonight. The equaliser came a minute after Alty's Colin McAllister had been dismissed for foul language after clattering a Workington player. The Reds had led from the 18th minute when they scored after getting the benefit of the doubt with an offside decision. 21 names of Altrincham's reserve team featured in the Junior Robins "wordsearch" puzzle in last Saturday's "Robins' Review" matchday programme at Moss Lane. Alty's game away to Accrington Stanley tomorrow has been postponed as Stanley have no venue to meet Lancashire League criteria. Normally they play at Gt Harwood Town, whose ground was gutted by fire last season. Instead, Alty will now play a HOME game against Stanley at Moss Lane NEXT Saturday (8 October) , kicking off at noon, to avoid a clash with the England v Austria game. So, if you can't get to Canvey Island that day to watch the first team, go along to Moss Lane where for just £2 (free to season ticket holders) you can watch Alty Reserves, the league leaders, who have found the net 49 times in 11 games this campaign. Irish U-21 player Conall Murtagh is expected to play for the Reserves again this Wednesday against Workington. 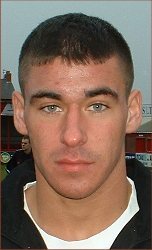 Former Barnsley player Griff Jones, who has been playing for Alty Reserves, has now left the club. Whilst he had impressed the Alty manager Graham Heathcote, he was considered still to be a little short of the fitness required for Conference National and has decided to try his luck elsewhere. 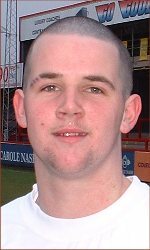 Pat McFadden made it ten goals in his last three matches as an Altrincham side at last defeated one from Yorkshire, following the youth team's defeat at Selby on Monday and the first-team's loss at Halifax on Tuesday. Apart from McFadden's well taken hat-trick, the goals came from Rod Thornley and substitutes Danny Heffernan and Michael Sutton. As well as Thornley, first-teamers George Melling, Gary Scott and Steve Aspinall, all played for the Reserves. Both Aspinall and Scott successfully came through ninety minutes after their recent lay-offs through injury. The Reserves also gave a debut to Conall Murtagh, an Irish U-21, ex-Hearts and Sligo Rovers player, who is now a student at the University of Manchester. There is a report on the win at Guiseley here. The next home game is on Wednesday (28th) against Ossett Albion (7.45pm at Moss Lane). Altrincham Reserves have gone top of the Lancit Haulage Lancashire League on goal difference after their 7-0 win at Guiseley. See them in action this Wednesday at Moss Lane (7.45pm) v. Ossett Albion. In a hastily rearranged fixture, Alty Reserves beat Guiseley Res. 7-0 away today, with Pat McFadden netting four to add to his hat-trick last week. Laurence Ball returned to the team having been playing recently for Dover. Laurence has returned to the Manchester area to continue his university studies. Danny Heffernan is currently out, injured. The scheduled game at Marine on 7 October has been moved to a later unspecified date. Altrincham Reserves are now second in the Lancashire League having played 8, won six and lost two, scoring 32 goals against 16. Top of the table are Fleetwood Town Reserves, yet to drop a point after 7 games. Alty Reserves won 4-3 at Lancaster tonight, with Pat McFadden hitting three. Report to follow. Alty Reserves had a comfortable win on Wednesday with two goals from Tom Baker and one each from Pat McFadden, Griff Jones, Mike Sutton, Anthony Bingham and Mike Brown. Clitheroe did hit the post twice and played the last 15 minutes with 10 men after Andy Ellis was injured just after they had made their last substitution. There have now been 48 goals in Alty's eight Lancashire League games this season. Report here.. Match report here based on details kindly supplied by Neil Brown. The Barrow report on the game, saying that Barrow "have now failed to win any of their last seven consecutive games , after going down to Altrincham 3-1 at homet. They are now in the middle of their longest spell without a win for over a year... Tightening up the defence has to be a priority for manager Barry Postlethwaite as its clear the attack has the ability to score goals. Dave Mansergh scored last night , and Ben Morsby won man of the match for some outstanding saves against an Altrincham team containing four players with Conference experience this season, including Ben [i.e. Rod] Thornley". The Lancashire League table shows Alty are third. Alty Reserves impressively beat Lancaster City tonight (Wednesday) in another high-scoring match at Moss Lane. Lee Hendley scored twice, with ex-Barnsley trialist Tom Baker scoring the goal of the game from 30 yards before limping off injured. 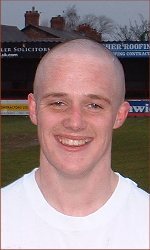 Hendley also made a goal for Pat McFadden whilst Danny Campbell (another trialist, ex-WBA, Stockport) scored a fine fifth goal in a match which saw Mark Maddox play 90 minutes to regain match fitness after his suspension. Report here. Alty's game against Leigh RMI on 3 Septmeber has been moved to an 11am kick-off at Hilton Park, to avoid a clash with the England international that day. A report on Alty's win over Chorley is here. The Megashrimps site says that "Morecambe Reserves kicked off their defence of their title with a 2-2 draw at home to Bradford Park Avenue Reserves. The away side took an early lead but goals from Ryan Salmon and Aeron Helliwell put Morecambe in the lead. Despite dominating the game the away side grabbed an equaliser". Alty Reserves played some good football to beat Chorley Reserves 5-1 at Moss Lane tonight but victory was marred by injuries to Kieran Lugsden (left) and George Melling. After scoring inside a minute, Kieran was later injured by a crude challenge and, though he managed to limp off after treatment, was later taken to hospital for checks to his ankle. George went off with what looked like a neck injury. Highlights of the game included two finely-taken goals by substitute Lee Hendley who has graduated from last year's Youth team, in which he was leading scorer. The other goalscorers tonight were Nehru McKenzie and Kwame Barnett. Report to follow. Four goals from Dwaine Lindsay (right) helped Alty to this win on Saturday; Griff Jones (pen), John Maloney and Kwame Barnett scored the other goals. Team list here. The Lancit Lancashire League fixtures for September have been amended and are here. Alty now play at Lancaster on 20 September. The Burscough website has a very generous match report on Wednesday's game, which says it was "An important three points for Burscough, against an Altrincham side who were a credit to their club, referee Neil Shepherd could have left his cards at home, just a good competitive game". The line-ups and scorers are here. Burscough report that they "beat the reserves of Conference side Altrincham 3-2 at Victoria Park. 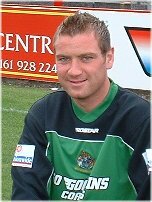 Burscough's goalscorer was hat trick hero Gary McKevitt". Neil Brown, manager of Alty Reserves has kindly provided information for brief match reports on the two recent Reserves' friendlies at Abbey Hey and West Didsbury. 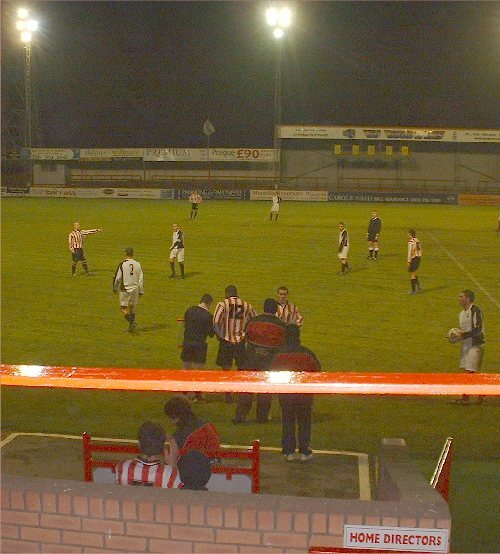 Both games were eventful in their own way with 13 goals being scored in all as Alty won 4-2 and 6-1. Links to the reports are here. At the same link is the Alty line-up for the Congleton match on 28 July. Alty Reserves beat Abbey Hey 4-2 last week, with first-teamers Steve Aspinall, Colin Potts, Nehru McKenzie, George Melling, Rod Thornley and Gary Williams all involved in the game. George was concussed, which ruled him out of contention for the first-team match at Stevenage on Saturday. A short report, based on information from Reserves' manager Neil Brown, will apppear on the website in the next day or two. There will also be a brief report on the Reserves' 6-1 win in the abandoned game at West Didsbury last Saturday. The Lancashire League website has results up to August 13; Alty have yet to play. BPA are the early leaders with two wins and 7-0 goal difference. Alty Reserves' friendly at West Didsbury & Chorlton today ended after 70 minutes when manager Neil Brown called off his team to prevent injury to his players. Alty were leading 6-1 at the time. In a match which saw the stand-in referee award three penalties against them, the last in the fifth minute of added time, Alty Reserves drew 3-3 at Wilmslow Albion on Saturday. Report here. Brief match report, here, based on details kindly supplied by Neil Brown. Goals from Dwaine Lynesey and Danny Grimshaw secured Alty Reserves' victory on Thursday night. Three goals in the last three minutes undid an otherwise promising performance from Altrincham Reserves on Tuesday night. Match report here. Alty Reserves play in the Lancashire League and the August fixtures were released a week ago. However, these have now been changed and the fixtures for the whole season have now been released and are here. Meanwhile, from Morecambe's site comes the following: "The Management Committee have been able to secure a main sponsor for the Lancashire Football League... The league will now be known as The Lancit Haulage Lancashire Football League. The initial period of sponsorship is for 2 years... It is part of the agreement that all reference to the league should be by its full title... Lancit Haulage... are a Lancaster based company... They undertake work both locally and nationally on behalf of a great many companies... League Chairman, Neil Marsdin added, "It is another step forward for the league... We now have 17 clubs, all from the upper level of Non League football". Neil Brown, manager of Altrincham FC Reserves, would like to record the Club's sincere thanks to Springhead FC of Oldham, not only for making the visiting Altrincham Reserves' side very welcome to their ground last Saturday for a friendly game, but also for the plaque which they kindly presented to the club in memory of Neil Thomason, the former Alty Youth coach who died recently. 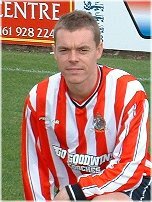 Neil Thomason had been instrumental in arranging the friendly, which Altrincham won 4-1. A match report is here. Altrincham Reserves' Lancashire League fixtures for August 2005 are now here. The full fixture list for August for all teams is on the Lancashire Football League website. Ian Lyon, who runs the Lancashire Football League website, confirms that last season's game between Vauxhall Motors Reserves and Workington Reserves was never played as the Cumbrians could not raise a team. The match was awarded to Vauxhall 1-0. The revised league table is here. 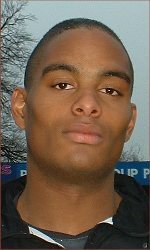 Anthony Wealle, Altrincham Reserves' regular striker at the end of last season, has had to leave the club due to work commitments. 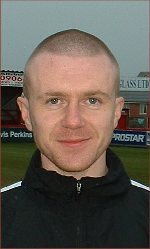 Manager Neil Brown would like to thank Anthony for his hard work for the team in 2004-05 and to wish him well in his future career. 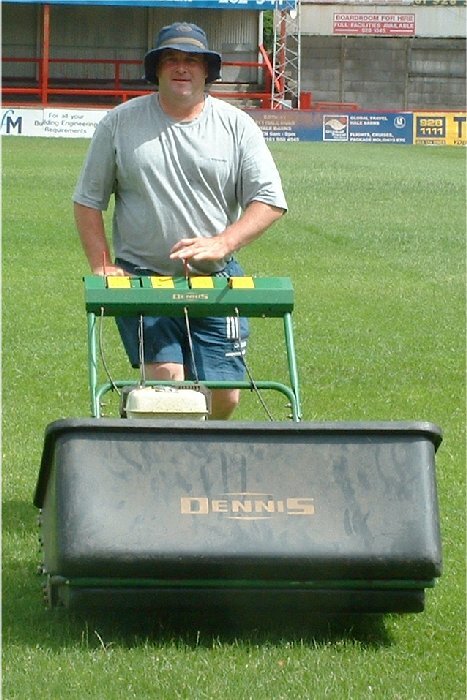 Reserves' manager Neil Brown (left) is currently busy assessing players for next season - as well as labouring hard under a hot sun in his role as groundsman to get the Moss Lane pitch in good condition for next season. But a late change to the Lancashire League, in which Alty Reserves play, has been announced this weekend. Vauxhall Motors have resigned from the league but four new teams were expected to be joining (Thackley and Ossett Albion from Yorkshire, as well as Fleetwood and Clitheroe), so there would be 19 teams in the League. The League was therefore expecting to arrange the season with each team playing each other just once with the rest of the season taken up by a cup competition to be played initially on a regional group basis. However, since the AGM, it has emerged that Northwich and Thackley have now withdrawn from the League and that the League has now decided to go back to playing a full league programme of home and away games (i.e. 32 games per team). Also, the season will now start on 6 August. Alty Reserves have arranged a friendly - away at West Didsbury & Chorlton on 13 August (2.30pm) but this is now likely to clash with a league game. This page will contain news of the Reserves in 2005 pre-season and the season proper in 2005-06.